Workers for the World Unite! A large part of the defence case focused on the ‘reasonableness’ of the action given that other methods of redress had been explored. The witness statements of Lib Dem Manchester Councillor Martin Eakins and Hasty Lane resident Peter Johnson was read out verbatim by the Defence Counsel Richard Thomas. Hasty Lane is set to be demolished if plans to expand the World Freight Centre at Manchester Airport are allowed to go ahead. In his statement, Martin Eakins described his close invlovement in the campaign to Save Hasty Lane, including making official representations to the Wythenshawe Area Committee, petitions and letters to national government; “I feel that all democratic avenues were exhausted and I think it is reasonable to say that the only way avenue to achieve carbon reductions through traditional politics in this case was closed,” the Court heard. Mark Haworth and Amanda Walters were given a fine of £175 an £250 respectively plus were ordered to pay £460 in costs each plus a £15 ‘victim surcharge’ each. On Monday, nine other defendants involved in the protest pleaded guilty and received fines and costs averaging around £340 each. A public campaign titled ‘Manchester Airport on Trial’ is being run around the court trial and has received statements of support from local members of the public, local groups, academics, barristers, Independent journalist Johann Hari, and prominent national politicians such as Heathrow Labour MP John McDonnell, Green Party MP Caroline Lucas and Conservative Party MP Zac Goldsmith. In February 2010, residents at Sipson Village – which was earmarked for demolition if the previous government had pressed ahead with plans to add a third runway to Heathrow Airport – joined forces with Manchester campaigners in a ‘twinning’ ceremony, which joined Sipson with Hasty Lane, a row of houses near Manchester Airport currently set for demolition if expansion plans go ahead. The trial of a second group who staged an airside blockade of a Monarach Airline jet at the same time as the roadside protest will commence in February 2011. Six defendants will plead not guilty to a charge of the aggravated trespass. 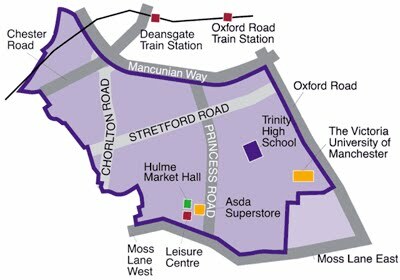 As people are no doubt aware I am standing in the Local Elections on May 6th for Hulme, my home. In a local election, you vote for the councillors who work to deliver good public services for all people, to hold the Council executive to account, and to safeguard our interests and security. However, I am not convinced that our current Hulme councillors are doing this effectively. With the support of local residents, campaigners and Hulme Green Party I have been encouraged to stand. We really do need an alternative voice to the Big Brand Parties on Manchester City Council. And YES, we stand a good chance of winning, with your help. The Greens were just 50 votes away in Hulme in the last local election! This year, both the Local and General elections are likely to fall on the same date – May 6th – and, as we are a small party with limited resources, part of our strategy is to stand candidates in both elections in some areas of the city. A set of elections together like this pose a big challenge for Manchester Green Party but we are confident that with your support we can gain a seat on the local council for Hulme – giving us your vote in the local election will make a difference. By standing in the General Election (as well as the local one) I wish to give disillusioned people in the Manchester Central constituency the chance to vote for someone who is not in the Big Brand Parties – parties whose policies are interchangeable and tainted by scandal, cuts and corruption. The current voting system means that I am not likely to win a parliamentary seat in Manchester Central this time but we can win a council seat in Hulme so I urge you to give us you local election vote. If you really want to vote for one of the other parties nationally you are of course free to “split your ticket” by voting for different parties for either election. I’d understand that choice. Being angry but not voting suits corrupt politicians just fine. They benefit from apathy and the show goes on regardless. So I urge you to turn your anger into action and vote for an alternative on May 6th – the only wasted vote is one in which you don’t believe in, a vote for the same old thing when you want change. 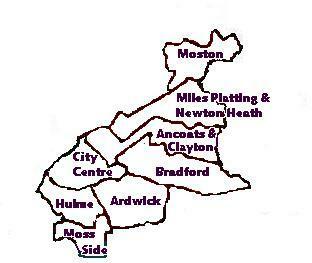 Here is some information on Manchester Central Constituency – it comprises of the following local government wards: City Centre, Hulme, Moss Side, Ardwick, Bradford, Ancoats and Clayton and Miles Platting, Moston and Newton Heath. 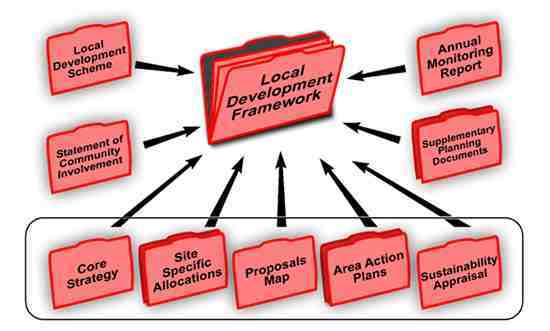 I was emailed a blast from the past yesterday – my contribution to the transport section of the Local Development Framework consultation on its “Core Strategy” document from 2007. Every once in a while another part of the LDF process surfaces, bearing an obscure name, and inviting what the council class as a “consultation” from Manchester residents. Graeme Sherriff of Manchester Friends of the Earth (FoE) assisted me with my section, and other people worked on a collective document that we called “Green the LDF”. This model of working helped us to pool our skills to produce a very credible response to the Council’s plans, which we regarded as neglecting climate change and the problems associated with rampant economic growth. It seemed sensible for community activists to try to engage with the planning process, to try to pre-empt problems relating to climate change, and maybe even to mitigate them further down the road. The Core Strategy document was about setting the “vision” of the planning strategy for Manchester for the next twenty years. It is one of many documents that make up the Local Development Framework, and the consultation was supposed to explore the options for the future development of the city. The consultation itself only lasted eight weeks from when the document was made public (six weeks is the minimum they can legally get away with!) It was a steep learning curve for me as my knowledge of planning legislation and even transport planning wasn’t very developed at the time. I used the FoE “Community Resource Pack” to learn the basics, and I attended a training course put on by Planning Aid, who provided free, professional support and advice on planning issues to community groups who cannot afford to hire consultants. The next phase of the consultation is now underway. But I am reluctant to spend too much energy on it. Despite learning a lot about planning and how the Council worked, our finished product was pretty much ignored. Our response document was received by the Council in Feb 08 but due to technical difficulties these were not even put on to the on-line consultation system by the time consultation on the Refining Options(phase 2) opened in April 09. This despite the fact that we sent our responses in electronically. After waiting the year I received a paragraph made up of council speak and empty rhetoric. It included contradictory statements such as “Manchester will be a successful sustainable City in the front rank of cities in Europe and the world” and “it will be a City with a growing economy driven by the strength of the Regional Centre and Manchester Airport which supports a successful City Region” . This was a deflating experience – a feeling shared by most of the people I knew who’d responded to the consultation. 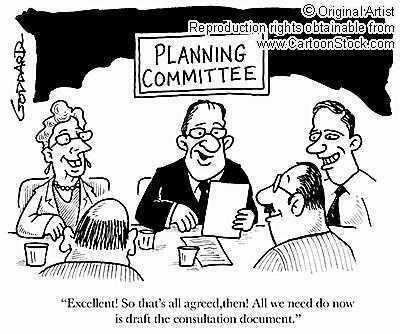 At the end of the day the Council are legally obliged to consult people on the development plans. But the underlying political reality of such consultations leaves a bitter taste in my mouth. On Wednesday Manchester City Council will be agreeing its Climate Change Action Plan at an Executive Committee meeting in the Town hall. This action plan is basically a document outlining how the Council plans to reduce CO2 emissions by one million tonnes in Manchester in the years up to 2020. Richard Leese, Leader of the Council will be eagerly flying a copy of this new document to the Copenhagen Summit(COP15) so that he can show off Manchester as a shining example of what a council can do to tackle climate change(I think?). As I haven’t seen the document yet I am trying to hold off on the cynicism and despite their appalling record I am willing to give the council the benefit of the doubt for now. At the end of the day it is in none of our interest for the Council to produce a limp or ineffective plan and so what if it helps Sir Richard boost his non existing environmental credentials to a bunch of politicians in the process. These politicians will probably be too busy looking for ways to get out of committing to making any real and meaningful changes to notice……hmmmmm……that’s best kept another blog post . To be fair, I’m sure there will be some interesting initiatives in the new Action Plan, enough groups including us Greens and allot of well intentioned people have chipped in; it will no doubt ‘talk the talk’ as the Call To Action did early last year. I really hope that the Climate Change Action Plan is more than a collection of buzz words and token initiatives. There wont be any earth shattering revelations lets not kid ourselves and ultimately it won’t tackle the root cause of Climate Change – the system – but it could mark a new era in the Council – it might actually start to take Climate Change seriously. But if you are nervous about the whole thing, thankfully the Call to Real Action(C2RA), a group of concerned citizens, are going to write their own Alternative Action Plan. Just encase the Council misses out some things, as has been their habit in the past – Don’t mention the war, I mean the Airport or its 13 million tonnes of CO2! The next step for C2RA will be to publish our version of the Climate Change Action Plan ready for Sir Richards trip to Copenhagen. The C2RA Group has cleverly been using what in battle is termed a ‘pincer movement’ to ensure that the Council achieves their aim of developing a climate change strategy. They have taken an inside/outside approach participating in writing groups, the environmental advisory panel and attending consultations that the Council set up whilst almost simultaneously the C2RA have been producing an Alternative Action Plan to plug the holes so to speak. This week could be an interesting one ……………. Issue 26 of Manchester Climate Fortnightly is out, with 4 pages of news and analysis. Enormous calendar of events this issue, with lots and lots of interesting things to go to. Manchester City Council has spent years promising a Climate Change Strategy for Manchester. Then back in January they released a paper titled the ‘Call to Action’. This was written by a London based consultancy firm. We felt that the document lacked local knowledge and the firm who wrote it made no effort to consult with the people of Manchester, despite claiming it was aimed at engaging the local community on Climate Change? The Council’s Call to Action seems to have shied away from targets and showed very little real initiative. It contained lots of ideas on how to re brand work that the council or other groups were already doing paying lip service to the environment. A perfect example of this is the retro-fit of the Town hall. Of course we agree this needs to be done in order to make it more energy efficient but alas when the details of the retro-fit were announced it transpired that it is going to cost 165 million pounds. The plans included putting glass tiles on the bridge going into the town hall extension as well as providing retail space; we are not sure how much value this has as a green initiative. Overall we decided that a ‘Call to Real Action’ needed to be written. So, what is the Call to Real Action (C2RA)? Well, we felt that in order to tackle climate change we must ‘act local but think global’. We are writing a bottom up document that can set out the foundations for how we can collectively tackle climate change here in Manchester. We need to be reducing our carbon emissions while recognising that we have an opportunity to improve people’s quality of life in the process. The first two meeting were inspiring, lots of new faces mixed with a few of the familiar. 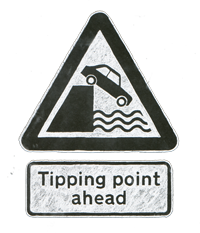 Allot of local activists have spent years trying to get the Council to recognise climate change as a real issue. There are a wealth of skills and experience to draw from and there is a broad spectrum of individuals and groups involved. We have tried to give people the option of contributing while not having to attend countless meetings. Allot of community activists are very busy people. You can contribute via the blog or help out at different points in the process. All the sections we need to tackle have been divided up between working groups. My main area of interest is transport…yes I’m a transport nerd. I work in cycling and campaign against Airport Expansion. I decided to stick to what I know. One of the aims of the C2RA is to capitalise on the vast amount of knowledge that groups and individuals here already have. I’m heavily involved with the Stop Expansion at Manchester Airport group. This C2RA is giving us a chance to develop our own policies even further. The SEMA coalition is made up of Manchester Friends of the Earth, Manchester Green Party, Campaign against Climate Change and Plane Stupid. Together we will help to formulate ideas for how the Council can practically deal with the emissions from Manchester Airport. Catalytic Action number nine in the Call to Action is about supporting Manchester Airport to be green. Currently it emits the same amount of CO2 as Uganda and MCC is in a very strong position to address this issue as it owns 55% of it; sadly the council have forgotten to include the emissions from the planes when talking about how to green the airport. We are calling the next meeting the Call to Real Action 100% Proof. This gives us all a chance to come together and talk about where we are all up to and how we can synthesise the various sections. When where is next one?There will be another meeting next Monday the 16Th of March in the Friends Meeting House, Manchester, from 6.00pm til 9.00— Call to real Action 100% Proof—-All are welcome. There are lots of little sub meetings that people have arranged for their writing groups including the SEMA Teach-in on the topic of Steady State Economics at Manchester University on the 18th of March from 7.15.